A visit to the baths is a health procedure. It is important to know that overdose of any means that help to restore health, can have negative consequences. Avoid sitting in the steam room, even if health you have everything in order. It is important to follow some rules to use the sauna, and then the healing effect will not take long. There are many sayings and Proverbs praising the bath and its healing properties. Even in the Greek language her name means "banishing the pain, the sadness." Bath contributes to increased resistance of the organism to eliminate toxins (through sweating), skin cleansing (due to the strengthened work of sebaceous glands). During a visit to Bani's heart and lungs begin to work actively. This has a training effect on these organs, thus strengthening the overall endurance of the body. The most important attribute of the Russian bath is a broom. Body massage with aromatic twigs stimulates blood circulation, promotes more perspiration and accelerates metabolism. Oak broom helps in better cleansing of the skin, has anti-inflammatory action that helps in diseases such as eczema or acne. The essential oil contained in a birch brooms help to neutralize pathogens and prevent premature aging of the skin. 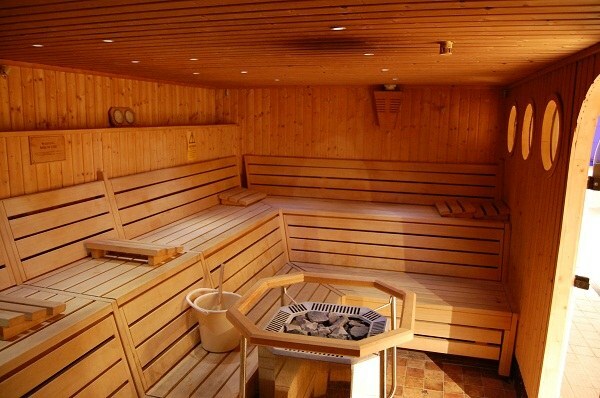 Before starting a Wellness treatment using the Russian Banya, it is necessary to undergo a full medical examination. It is not recommended to go to the bath pregnant women, patients with cancer, a cold, people with fever, hypertensive patients, asthmatics and people with problems of the cardiovascular system. To just wash in the bath to go is not necessarily enough twice a day to take a shower. A visit to the baths is a medical procedure aimed at cleansing the entire body. The bath is recommended to visit no more than 2 times a week. Fans who expose your body this procedure every day or two, proceed very cautiously. Instead, the positive effect they can get the opposite reaction.